"This excellent collection including business contributions from 11 countries, demonstrates how creating shared value—for shareholders and society—is the basis for a long–term successful business." "It is the rare mix of breadth and depth that makes this collection so extraordinary and so valuable. We are introduced to the world′s poor in detail, learn the many ways that business can help them work their way out of poverty, and told what governments and citizens′ groups must do to make this happen. Business leaders even discover how they can generate both economic and social value." "This book provides excellent case studies that vividly describe how new business models can address the problems and the opportunities at the ′bottom of the pyramid′; it thereby shows how corporate social responsibility can be embedded into normal commercial operations. The fact that these case studies are drawn from many industries on several continents add greatly to its credibility." "This is a very important book. If it′s widely read and widely applied, it might even prove to be a world–changing book. Expert contributors from different nations take an unsentimental look at the world′s poorest 3 billion people and ask: are there new ways of doing business that could be both beneficial for the poor and profitable for companies? Their answers are imaginative, practical and encouragingly positive." 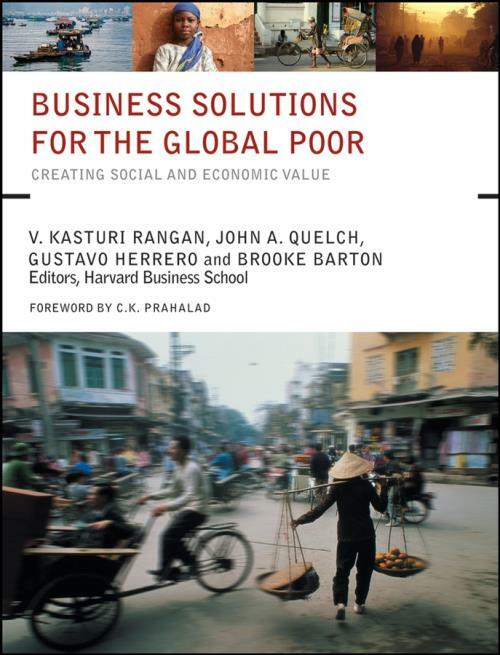 "This volume focuses on a challenge that business, worldwide, has hitherto not regarded as being within its ambition: the challenge of banishing poverty. . . . . The book makes a significant contribution towards setting business on that endeavor." PART 1: Just Who Are the Poor? 1 Microcredit and Poverty Alleviation Strategy for Women: Who Are the Customers? 31 H&R Block’s Refund Anticipation Loans: Perilous Profits at the Bottom of the Pyramid?